← Interview with Author Heather Gray Plus an EIGHT Book Giveaway! 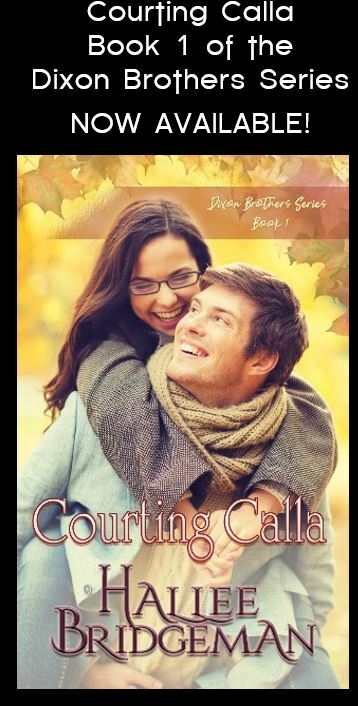 Interview with Author Mary Ellis and a Giveaway! Welcome to Readers Write to Know! I asked you, my readers, what questions they would ask their favorite authors if given the chance, and the authors visiting my blog answered them! This week, I’m pleased to bring you multi-award winning author Mary Ellis. Mary writes southern mysteries, and is giving away an autographed copy of her latest release! Read on to see how you can enter to win. Tell us a little bit about yourself. Mary Ellis has written twenty-one novels. 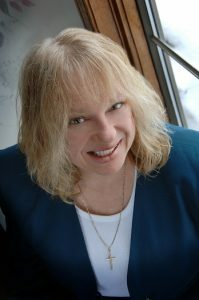 Her debut book, A Widow’s Hope, was nominated for a 2010 Carol Award. Living in Harmony, won the 2012 Lime Award for Excellence in Amish Fiction while Love Comes to Paradise won the 2013 Lime Award. She is currently writing Secrets of the South Mysteries. Book one, Midnight on the Mississippi, was a finalist for the RT Magazine’s Reviewer’s Choice Award, and finalist for Daphne Du Maurier for Excellence in Mystery/Suspense. Her current book is Sunset in Old Savannah. Tell us about your current release: Sunset in Old Savannah. In Savannah, everyone has something to hide. Investigative partners and best friends Michael Preston and Elizabeth Kirby are hired by a wealthy socialite to do surveillance on her wayward husband. When the husband turns up dead, the socialite becomes the police’s chief suspect. Mike and Beth must follow the clues through the historic town with more secrets than branches of moss-draped oaks. The duo uncovers a hodgepodge of potential murderers, including a scheming business partner, a resentful mistress, and a ne’er-do-well brother. As praise of their agency gets around, Mike and Beth must hire investigator Kaitlyn Webb to ease the workload. But will ghosts of Kate’s past threaten everyone’s safety before a killer can be put behind bars? Do you feel pressured to compromise your standards in order to reach a larger audience or be more successful? No, I have never been overly concerned with reaching a larger audience. Of course, I want to touch as many people as I can with my stories, but I have never felt pressured to compromise my standards either by financial needs or by the great publishers I have worked with. With all those characters in your head screaming to get out how do you write fast enough to get it all down? I often jot down scenes that demand to be written out of sequence, write into my laptop or on my yellow legal tablet if I’m traveling. Inspiration knocks on my door once, and I have kicked myself for not “getting it down” when my muse hit. I place the scenes at the end of my manuscript-in-progress and then edit and insert into the proper place. What is your personal, most effective way to get past writer’s block? I’m not sure what you mean by “writer’s block.” When I can’t continue in a scene or start a new chapter, it’s always because I don’t know enough background information. Although I always go to the area I’m setting a story before I start to outline, and several times thereafter, there’s always something I forget to check into. Just last Friday, I had to stop writing and call the warden of a Florida Correctional Institution about some particulars in prison life. My “writer’s block” amounts to insufficient details. If I have my ducks-in-a-row, I have enough words in me to sink the Titanic, as my husband loves to say! How did you determine whether to self-publish or seek a traditional publisher? When I started writing, the choice was easy: traditional publishers. Self-publishing didn’t exist. I wrote a couple of books which I submitted and received a boat-load of rejection letters. Finally I got an agent who suggested some changes and landed by first publishing contract. She was also the one who suggested a change in genres. I will be forever indebted to the late Mary Sue Seymour of the Seymour Agency. I went on to publish twenty-two books traditionally. But who knows what the future will bring? Do you have your plotline and character development already laid out before you begin writing a book, or do they develop as you write? Yes, I start with a premise; then I create my characters, and then I create a skeletal outline of chapters based on the anticipated word count. That being said, as I write each scene in each chapter I often veer far off-course from what I had planned in my outline. I love it when the characters take over—it makes my job easier. What is your preferred method of writing? (computer, pen & paper, etc.) For the book I’m working on now, I’m laptop computer all the time. But for my first two romantic suspense, and then my next dozen Amish romances, I wrote the scenes first on a yellow legal tablet. I would often drive out to Amish country to write the scenes. Then I would type them into my laptop and edit as I went along. I loved doing it like that! But when I moved away from Amish stories, I also went strictly laptop. Believe it or not…it still takes the same amount of time to finish a book (around 6 months for a 100,000 word book). What is your inspiration for writing? Travel! Throughout our marriage, my husband and I have traveled around the country. I have found story inspiration everywhere we have visited. Right now, we’ve been checking out places in the South to retire to. (I love Ohio, but I can no longer deal with our cold winters with two types of arthritis) So as we visit Tennessee, Mississippi, Louisiana, Alabama, Florida, Georgia and the Carolinas, I’m finding wonderful settings for my Secrets of the South Mysteries! 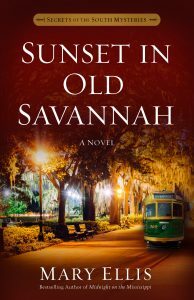 Mary is giving away an autographed copy of Sunset in Old Savannah! 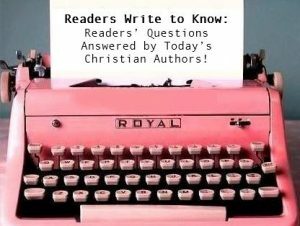 This entry was posted in Blog, Hallee's Interviews with Christian Authors and tagged author interviews, harvest house publishers, interview with christian author, mary ellis, readers write to know, sunset in old savannah. Bookmark the permalink. 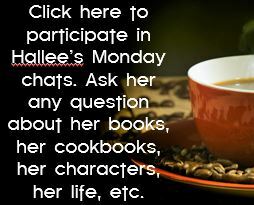 5 Responses to Interview with Author Mary Ellis and a Giveaway! Thanks for the insightful questions and comments. It is really interesting to me to hear how each author develops their own story. I tend to go the same way Mary does. What a fun way to get to know an author. Thank you for the great interview. I have read, Mary Ellis’s Civil war books and enjoyed them alot. Would love to move onto another genre and try the mysteries now! Love getting to know new writers this way! Sounds really good can’t wait to read this.Pretty cover. Wonderful interview with Mary! I enjoyed learning more about her and her books. I’m excited to read Secrets of the South Mysteries!